PALMDALE – A parolee at-large wanted for an alleged assault with a deadly weapon and vandalism led sheriff’s deputies and California Highway Patrol officers on a wild chase that included wrong way driving, trying to hit officers and driving donuts in the desert before his arrest Saturday, authorities said. 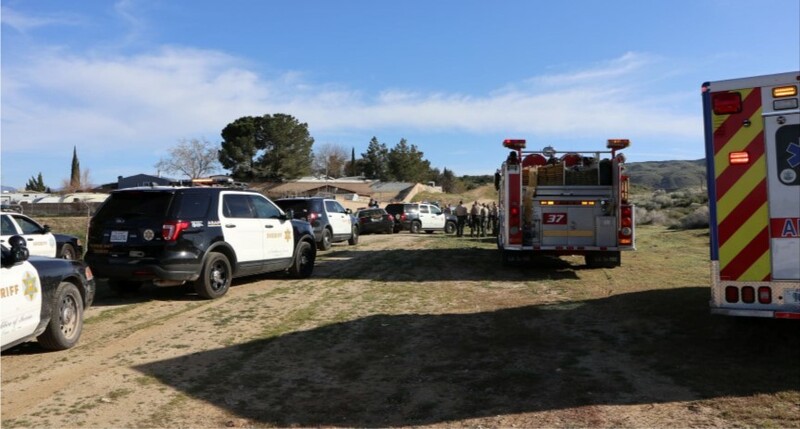 Sometime before 4:30 p.m. Saturday, March 30, deputies from the Santa Clarita station tried to contact 24-year-old Kyle Goldman, a parolee at-large wanted for an assault with a deadly weapon and vandalism, according to Lt. Anthony Gunn of the Palmdale sheriff’s station. Goldman drove away from deputies, but was located on the Antelope Valley (14) Freeway, Gunn said. The pursuit began. Goldman turned around and was headed the wrong way on the freeway and hit a CHP unit head-on causing minor injuries to the officer inside, the lieutenant said. Goldman continued to drive the wrong way until he got off at the Sierra Highway where he headed northbound. 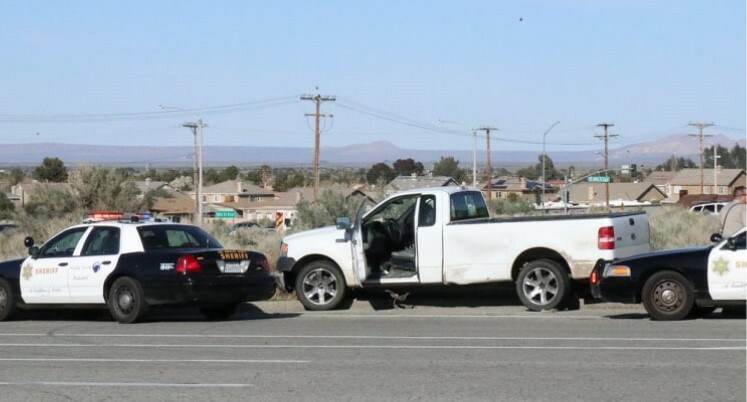 Deputies from the Palmdale station attempted to stop Goldman’s truck with spike strips but he avoided the spike strips and tried to hit a deputy, Gunn said. He later attempted to hit another deputy. “He started doing donuts and crashed,” on the Sierra Highway at Avenue S, Gunn said. Goldman got out of the truck and ran, apparently trying to climb a fence into a mobile home park when deputies caught up with him. Goldman fought with the deputies before his arrest, the lieutenant said. Goldman was arrested for the parole violation and suspicion of assault with a deadly weapon on the CHP officer and deputies, felony resisting arrest and vandalism, Gunn said. He was believed to have been under the influence of drugs, the lieutenant said. 5 comments for "At-large parolee arrested following wild pursuit to Palmdale"
I wouldn’t let the name Kyle Goldman fool you … I surmise the perpetrator was an illegal with a pseudonym that has filed multiple tax returns claiming 6 plus kids! Seriously…Yes, his name is Kyle Goldman, and he is the son of a Jewish family in Santa Clarita. Clear your head, please. Did you read the first sentence? He was a parolee at large. Which means he did something he shouldn’t have after being released from jail or prison, and he didn’t want to go back.